It is the season of Goodwill to all Men [and Women of course]. Too much food, a touch too much liquid spirit, and comfy armchair beckon for many, while Granny sups the sherry. 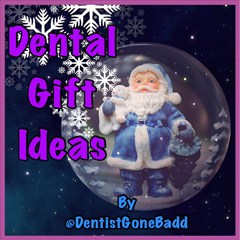 It is a time of year to reconnect with family, and let loose the strings of attachment with dentistry. It has been quite a year. If anyone has recently been affected by the extreme weather and flooding, you will have our deepest sympathy and best wishes. We have a new CDO[NHS England] who seems to have big dreams. While her grip on reality is yet to be proven, her grip on mission creep is patently in doubt too as the New NHS Contract slides back another year. When does evidence seeking become procrastination I wonder? Let’s not forget to toast the former CDO [NHS England] spinning the revolving door of Corporate employment. A nice little earner, some might cynically say; I could not possibly comment. For sure, the numbers-merchants all seem in agreement. Corporate Dentistry is a House of Cards just waiting for the crutches to be kicked away. What about our soon-to-be ex-Chief Executive Officer of that great body in Wimpole Street. I wonder how many cards of goodwill she really will receive? 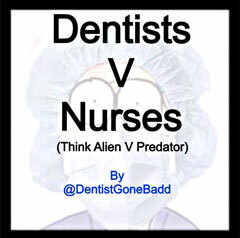 Goodwill to Dental Colleagues has been the byword on her watch… NOT! And then of course our congratulations to the newly elected members of the BDAs Principal Executive Committee. Is it me or is a vote of 1900 on a membership of 18000 a 10% turnout? Is a 10% turnout the sign of a well engaged campaign and a profession with fire in their belly? Hmmm, thought as much. So there is much to be done and as ever so little time to do it. Maybe 2016 will be the year that as a profession of 100,000 like-minded souls we unite into one influential body, instead of Nurses here, Therapists there, Dental Technicians under the table, Dentists arguing and never agreeing, LDCs bangin’ on to no avail, the BDA in constant denial and the FGDP worrying about ‘stuff’. No wonder the Government can run rings around us all. To you all, I bid you a Happy Christmas and an Utterly-Butterly Joyful New Year. In the South, we Sassenachs favour the early celebration. North of the border of course, our Scots colleagues will be awaiting the excesses of Hogmanay. To our non-Christian colleagues, we know you will join us in celebration in whatever way suits. What is this with Santa’s paw prints all over it? A PSA Report I see? Now this is a Festive card of gargantuan size. Ladies and gentlemen of the Dental Profession, now you know why the Chief Executive Officer and Registrar of the GDC has pulled the Ejection Seat firing handle and is departing. This is a 270 Page report on the investigation into the General Dental Council’s handling of a whistleblower’s disclosure about the Investigating Committee dated 21 December 2015, but from events through the previous 3 years. My goodness me. I take it all back. The PSA do have teeth, they are most certainly sharp and their Regulatory jaws have closed around the neck of the GDC. Close typed pages of absolute dynamite. Evidence based critical analysis of what the GDC did with your ARF that led to it having to be increased...A pantomime with an unbelievable plot by any other description. Dr Moyes? Are you reading this… You know what you should do. Prove to us that you are the honourable and ethical Gentleman we believe you to be. As should the whole Council, given the implications of poor oversight. Pull up the table, You get the mulled wine, I’ll get the nibbles. Just feast on these nuggets of you will. What was the outcome of the failings in the Investigating Committee processes and support during 2013? 6.1 The outcome was that the independence (and perceptions about the independence) of the GDC’s Investigating Committee were jeopardised by various practices that were designed to improve the quality and consistency of the Investigating Committee’s decision making, but which at the same time sought to restrict the Committee’s autonomy to an extent that infringed upon the appropriate separation of powers within a regulator. This could have had very serious implications for the GDC in terms of the robustness of decision making, potential judicial review actions and the consequent reputational damage. Those practices also had serious implications for the culture that developed in the Investigating Committee Secretariat, which in turn affected the working relationships between some Investigating Committee members and the Secretariat team. Here&apos;s to 2016 dear colleagues. “257 We note that the Chief Executive has responded to our conclusion by stating that they believe that they acted appropriately and quickly in response to each risk as soon as it became apparent, and that they reported fairly and fully to the Audit/Audit and Risk Committee and the Council. The Chief Executive has stated to us that their view is that they have responded to each of the “shocks” that have occurred to the GDC with honesty and transparency and by taking appropriate action. In response to seeing a draft of this report the GDC has said that the Chief Executive’s reliance upon the former Director of Regulation was reasonable, has noted that the Authority’s 2012/13 performance review of the GDC did not identify problems relating to the Investigating Committee, and has referred to the fact that no complaints had been made by the Investigating Committee members, and has drawn the conclusion that the Chief Executive could not have had visibility of the problems emerging in these circumstances. Happy Christmas to one and all, and especially all our colleagues trying to level the GDC Playing Field. Rushing around buying gifts, planning and shopping for Christmas menus, absorbing additional expenditure, entertaining friends and family, decorating the house and making sure everyone has a great time are all stresses of the festive season. Indeed according to a recent survey, 14% of Brits feel more under pressure than ever to have the perfect Christmas. Another ‘pressure point’ is the works’ Christmas party. This event is the highlight in the annual calendar for many where they are able to enjoy mingling with colleagues in a relaxed environment. However, it can be a time of anxiety for some individuals because although they can reveal more of their personality at the Christmas bash, out of their usual professional role, they worry more about their appearance. According to a survey commissioned by The Clothes Show Live, 63% of women start thinking and researching their Christmas outfit three months in advance. For a lot of people, meeting and interacting with others, attending Christmas parties and getting up close and personal are what nightmares are made of. 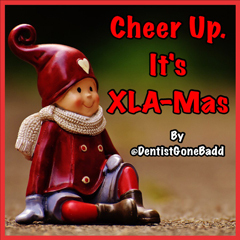 Many have social anxieties and suffer from low self esteem, but with 25% of the population experiencing bad breath at some point in their lives, chatting up their latest crush or sharing a kiss under the mistletoe is out of the question for some individuals. Oral malodour is a very personal problem and remains a social stigma that can influence an individual’s confidence and well-being considerably. Unfortunately, with everything else to manage and consider, many people are more likely than ever to forget about their oral health over the festive season. Dashing around the shops, visiting friends and relatives and completing all the additional tasks associated with Christmas may keep them active, but they can become dehydrated and the saliva that helps to wash away bacteria becomes depleted. Additionally, over Christmas and New Year we are all subjected to an array of tempting food and drink that we may normally avoid, but grazing on sugary, fatty, rich foods as well as an increase in alcohol consumption can wreak havoc on the health of the oral cavity as well as the breath. As well as advising patients to stay properly hydrated, dental professionals can help patients to remain healthy and confident with good oral health instructions, including the use of a daily deodorising mouth rinse and recommending a chewing a sugar free gum after eating. CB12 has developed a mouth rinse that can be used in the morning to prevent unpleasant breath for up to 12 hours, which is great news for patients during the festive season. The Christmas countdown is upon us, and the boxes on the calendar will be ticked off leading up to the season of fun and festivities. Whilst this is exciting for many, it can be a daunting time for some. The country is also experiencing an increase in the use of food banks, with 2014-2015 statistics showing a 19% rise since last year,[ii] and it is thought that 2,744 are sleeping rough on any one night. [iii] Poverty, perhaps, is closer to home than we thought. Accidents, bereavement, stress, addiction, marital problems and mental health are other possible factors that unsettle financial stability, impacting everyone from dentists to their dependants, friends and colleagues. In times of hardship help can come in many forms; a shoulder to lean on can sometimes be enough. But for many, financial aid is required for food and clothing, bills and mortgage payments, nursing home fees and even funeral costs. At some point or another most of us need help, which is why the BDA Benevolent Fund works to provide support to any registered UK dentist in financial need. With help from other professionals, regular donations and gift aid, the Fund provides one-off or regular grants to those who need it most. The difference that this can make at any time, let alone Christmas, is immeasurable. A donation can help someone in need and make their Christmas worth celebrating. or to give a donation today go to www.bdabenevolentfund.org.uk. And if you are in need of help yourself, please contact us now. All enquiries are considered in confidence. As we approach the final month of 2014, people start to wind down for the year and we all start looking at the year ahead. We focus on setting targets, goals, wishes and budgets for the year ahead. 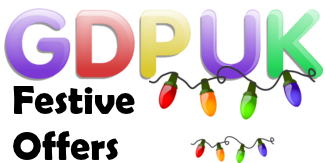 Before you start looking too far into the future we thought we would let you know, that we have a small number of advertising opportunities on GDPUK in December. Do you have a course you are looking to promote in early 2015? A new product you have launched and you would like some extra promotion? You may have December offers of your own that need a push? December has always been one of the busiest months on gdpuk. 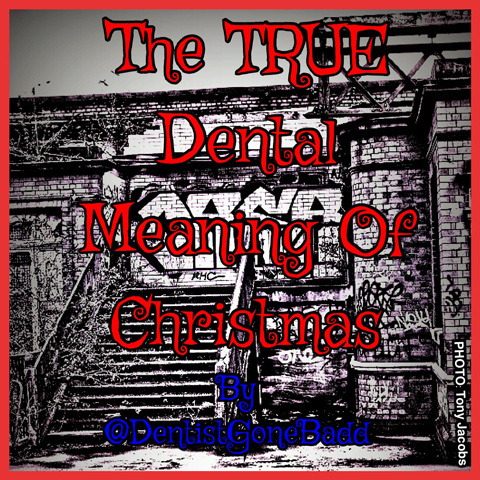 Dentists constantly use the forum and share expertise throughout the holiday period, which even includes Christmas day for some!